A word containing so much unknown. Next can be hopeful. Next can be scary. Like it or not, though, next is coming. There is a sense of inevitability. And the choice then becomes to fight what comes next or embrace what comes next. So what’s next for the Free Beer Movement? If you read the site (thanks mom and dad) you’ve probably noticed that a) I don’t post a lot b) I haven’t posted in awhile and c) there was a half-hearted attempt to try something daily. By the way those are all verbatim quotes from my parents on the state of this site. At first glance this could be a treatise on the state of blogs on the Internet or the struggle of independent soccer writers to find their place in the world or the failure on the FBM philosophy. It’s none of those. Or all of them. 1) Blogging is hard 2) Yeah, no one gets paid for it for a long time. If ever. 3) No. FBM rules and the idea is awesome and it’s not going anywhere. For the past ten years I’ve devoted myself to public education. First in the inner-city of Milwaukee, then dusty and dangerous San Pedro Sula, Honduras, and lastly in Austin, Texas. From abroad to home was born the idea and the execution of the Free Beer Movement. A pledge to be a better soccer fan and a better beer drinker. On both accounts I think I’ve done a damn good job of. Last year though, the realities and difficulties of being a teacher wore me down while the hopes and dreams of a life in soccer lifted me up. For the better part of two years I’ve been living a double and triple life. Since the summer of 2013 I volunteered to help run events for the American Outlaws. That “job” brought me to every home World Cup qualifier, a Gold Cup triumph, a men’s World Cup and trips to England and Ireland. Since the fall of 2013 I’ve free-lanced for Major League Soccer in their social media department. That “job” brought me to MLS Cup, a dozen of live matches, and hundreds of hours on the couch getting paid to post terrible puns accompanying news and highlights to social media and revel in Internet’s collective groan at them. Entering the 2014-2015 school year I was presented with two offers: 1) take over the day-to-day communications of American Outlaws, help plan events, and lead our efforts to build out the women’s side of this incredible supporters group and 2) to dive in deeper with MLS social media; still as a freelancer, but with more opportunities to subject it’s followers to my awful sense of humor. With both hands I grabbed. Which, consequently, meant I had to set down my beer(s). A month ago school bells rang out across Texas and for the first time in a decade I wasn’t in front of a classroom. No young minds to nourish, no lessons to develop, no papers to grade, and no more ups or downs that comes with the wild world of public education. It was a bittersweet moment for sure. But a new adventure began a few months earlier when I left my campus, a car full of books and boxes filled with the 100+ scarves that decorated my geography classroom. In just four months I’ve seen an amazing group of women lift a World Cup trophy in Canada, watched an awful group of men bomb at the Gold Cup, and been to New York City and back having joined an incredible team at MLS with so much drive and desire to do cool things in the social space. Now if you follow FBM on social media (more likely than regularly reading this site) you would’ve noticed that indeed the beers continue to flow and the soccer continues to be watched even if abbreviated sometimes because of my other professional duties. This site, however, is mostly dead. And I think it’s important to acknowledge that even if occasionally I come back here to post just for fun. Where does that leave the Free Beer Movement? Alive and well. It’s originator Joe Stange birthed the idea in 2006 (something we pay tribute to on our crest) on a (also) now-defunct blog and told me when I asked to take the reigns of the Movement, “no one can own an idea”. The Free Beer Movement continues to grow beyond my wildest dreams. What started out as a personal quest drew the attention of many, many other like-minded fans committed to “building American soccer one beer at a time”. As long as beer and soccer continue to exist so will FBM. It belongs not wholly to me, but to each person that practices it. I never thought that the FBM would present itself as an opportunity to work in the soccer world and I have no idea where it may take me next. But right now I’ll continue to do my part to fulfill the FBM Philosophy, grow American Outlaws, and support Major League Soccer as best as I can. Just a couple of things to give your morning that "kick" it needs. 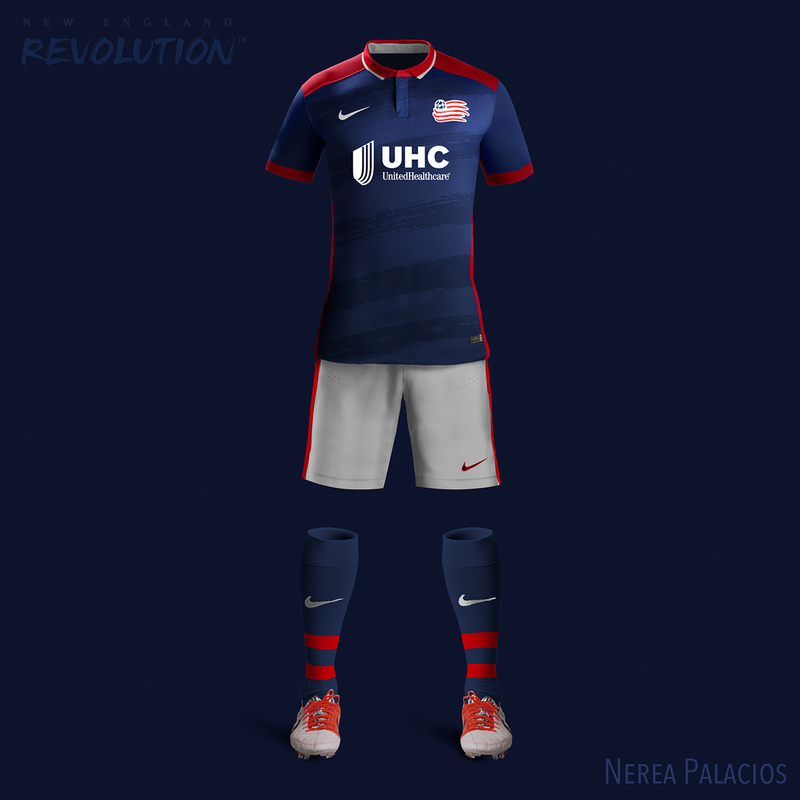 What if Nike had the MLS jersey contract? These sorts of design concepts pop up every once-in-a-while, but this one might be the cleanest, sexist set of MLS kits we've ever seen. Not that adidas does a bad job, but sometimes forcing the "three stripes" into every jersey is a bit much. Best part of the whole concept? Sock game strong. Neat interview with Fox Sports' John Strong who rose from announcing high school football games on the Internet to the Portland Timbers to becoming the AMERICAN voice of soccer. Union and Sporting advance to U.S. Open Cup Final. Philadelpha dispatched the Chicago Fire 1-0 while KC put on a clinic beating Real Salt Lake 3-1. The Union will host the Final for the second straight year on September 30th at PPL Park. Your coffee-spitting moment of the morning... Guinness factory's excess heat might help power local hospital. Breweries have a long history of upcycling their biproducts from spent grains going to local farmers or dog treats, but now a power source? "A feasibility study is due to begin shortly on whether excess heat produced by St James's Gate could be recycled and used to heat the €650m hospital, helping to reduce costs, the Irish Independent has learned." Just a couple of things to give your morning that "kick" it needed. American soccer's oldest tournament continues tonight with the U.S. Open Cup semifinals. Chicago Fire and Philadelphia Union face off at PPL Park at 7:30pm ET while the heated Sporting KC and Real Salt Lake rival resumes at 8:30pm ET from Kansas City, Kansas. The Final, which will be on September 30th, will be hosted by the Fire if they advance. RSL, the Union, and SKC, in that order, would host if the Fire lose. Both can be watched on U.S. Soccer's YouTube page. Dutch 'keeper scores one of the best goalie or non-goalie strikes of the year (already). Carli Lloyd is better at pitching (and soccer) than Giovanni Dos Santos. U.S. Soccer is trying to trademark the fan-created "Dos a Cero". Read more from Sam on the Denver Post's beer blog "First Drafts". Your coffee spitting moment of the morning.... Wheaties is making their own beer. The Minneaspolis-based cereal company General Mills is partnering with local brewery Fulton to create the hefe-style beer. So where can you find HefeWheaties? "For a limited time, beginning August 26, it will be available in the Twin Cities market in a 16oz. tallboy can. 4-packs will be sold at limited retailers in the area, while quantities last. HefeWheaties will not be available for shipment or purchase outside of Minnesota. Also, the Fulton taproom in Minneapolis will host several events featuring HefeWheaties, with the first being held on August 26." Grant Wahl (Sports Illustrated): "USMNT experiments, falls again in 2015-opening loss to Chile"
Yanks Are Coming: "Why, Klinsy, Why?" Matt Doyle (MLSSoccer.com): "A new formation, but the same old rut for USMNT"
Brian Straus (Sports Illustrated): "Despite familiarity, loss to Chile leaves big questions for Klinsmann, U.S."
Kyle Bonn (NBC Sports): "3-5-2 system shows life, but plenty of work is needed"
Jeffery Carlisle (ESPN): "A porous U.S. defense allows Chile to rally in exhibition loss"
In June 2014, during the United States' match against Portugal in the World Cup, America's bars and living rooms were invaded like San Juan Hill with the visage of Mr. Teddy Goalsevelt. He immediately became an Internet and real-life sensation. In the month's afterwards Teddy faded into the background like so many memories of the Brazil. Mike D'Amico, who played the part of the 26th President, returned to a mostly normal world of an everyday soccer fan. In preparing for our Free Beer Movement 2014 Person of the Year piece on the American soccer fan (which included D'Amico's Goalsevelt) we caught up with the Chicago native on what he's life has been like post-WC. Free Beer Movement: I realized that when we last spoke I only asked about the story of "Teddy Goalsevelt" and not Mike D'Amico's story. Teddy Goalsevelt: I should also preface that story with the fact that I am a died-in-the-wool football guy. I played all the way through college; was All-American. So I was sort of brought up in the culture of soccer being dumb and for people who can't play football. Which fed into my never giving it a try. I casually followed World Cup '06 and enjoyed it. Watched lots of the matches, but didn't understand what I was watching. Kept an eye on US Soccer for the next few years, and really threw myself at World Cup '10 as a fan. What a ride. I loved it. So I said to myself, maybe there's something here? Maybe this doesn't have to be a once every four years thing? So I devised a plan to become a soccer fan. FBM: This was the "Soccer Boot Camp" you mentioned? TG: Yeah. I realized that what was holding me back was knowledge. We all grow up and absorb our sports almost through osmosis. We all know the rules: why NY hates Boston, who the greats are/were, etc. It's innate. It's our culture. And so I figured that was the biggest hurdle, was building that foundation of knowledge. So that summer... I gave myself one month. All I was allowed to watch, read, or listen to was soccer-related media. I figured if I can't come out of this a soccer fan I never will. So I started following MLS and EPL closer. Went to more Fire matches. Found Tottenham Hotspur. Started traveling to see USMNT play. The rest is history. FBM: How would you describe your fandom since returning from Brazil? Have you attended many matches or watched a lot of soccer since? TG: I attended some Fire matches, including the Spurs v. Fire friendly, but haven't been able to make any U.S. matches since getting back. Unfortunately, real life has been getting in the way. But of course I watch all the time, and follow the EPL closely every week. Having my best fantasy soccer season ever! FBM: I never did get a chance to talk beer with ya.. what's your favorite beer? TG: Having a favorite beer is like having a favorite child. They're all different and I love them dearly. But my go to is always a classic Guinness. I like Stouts generally. Porters, wits, most anything Belgian (I can say that safely now, right? ), and a good lager are also frequent picks. I do have to say, though... my palate does not agree with the current hoptacular trend. But I'm hanging in there. FBM: Have you brought any newbies to any games lately? TG: As far as introducing new people, a couple highlights there. A local radio personality had me on their show a few times as the World Cup was wrapping up, and as most mainstream sports guys do, they made fun of soccer. Which, I get, but wasn't going to put up with. So I threw it down, "Have you ever actually BEEN to a soccer match?" "Uhhhh... no... ?" they responded. "Ok, then you don't get to make fun of soccer any more until you go with me to a Fire match." And they did a couple weeks later. Blew. Their. Minds. "Wait, soooooo these people stand and sing THE WHOLE TIME?!" FBM: Has the getup made any appearances recently? TG: None recently. But a couple weeks after the World Cup had ended, there was a huge party thrown by a production company here in Chicago. The Optimus Block Party; it's one of the biggest of the year in the ad industry in Chicago. They close down a street for it. And every year they have a secret/special/surprise guest. This year, they were going to play it cool and just have this band they brought in. But at the last second they decided to bring me on board, too, so I got to join some elite company. Past guests include, Chocolate Rain Guy, Rod Blagojevich, the Old Spice "Hello, Ladies" Guy... and now me. FBM: Elite company indeed. Plans to attend the World Cup in Russia in 2018? TG: Oh fo sho. I'm trying to get everyone I know to do it. 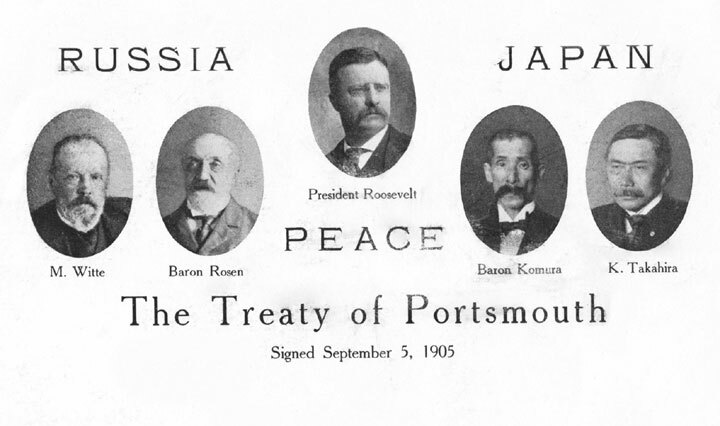 FBM: I mean Teddy did win the 1906 Nobel Peace Prize negotiating peace in the Russo-Japanese war in 1904-05. Perhaps he can settle some nerves again in Russia.